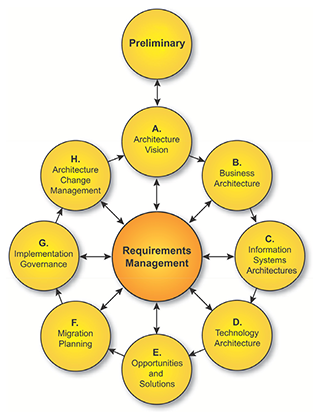 TOGAF is an Industry recognized Enterprise Architecture framework used internationally. This framework is envisioned for IT Architects, Enterprise Architects, Business Architects, Data Architects, Solutions Architects, Systems Architects, and other responsible for or associated with the Architecture function in a business. This Foundation course and certification offers validation that the student has knowledge of the basic concepts and terminology of TOGAF 9.1 and comprehends the core principles of TOGAF and Enterprise Architecture. Audience: This training is intended for the participants who want to analyze and apply knowledge of TOGAF. A certmag.com survey ranks TOGAF in the ninth position among the top 20 highest paying certifications in 2015. This is not surprising considering such organizations as IBM, HP, Oracle, Deloitte, Capgemini, CISCO and other leading giants are implementing TOGAF® methodologies to transform their businesses, thereby increasing the job opportunities and the subsequent demands for TOGAF certified architects.